YTDownload ( Server ) is a server-based application. Its aim is to download video from youtube in all format and qualities provided by youtube. It uses a web browser for its UI. The core logic of the server is written in goLang. Initially, It was created as a web service. We were hosting this site through VPS but due to lack of resources, I have to shut it down. YTDownload is now open sourced, you can get it from source-forge. Built withYTDownload ( Server ) Project is built using below frameworks, libraries and core GoLang. I was working on a module where data was comming from datastore and paginated using cursor. If you are not familier with datastore, then you can refer to this link. In case of datastore we just have cursor to get next set of data. Though there is offset availabe in datastore its costly. So to be cost effective we have only option available is cursor. Datastore decodes cursor and in response returns data associated with that cursor. Now, If you are using bootstrap data-table you might find it cofusing that how to pass the cursor to your queryparameter. Even I still don't get answer of how I can change data-queryparamter dynamically to update cursor on the url. But instead I got another simple solution. You might facing issues written above. Then it might be this case. 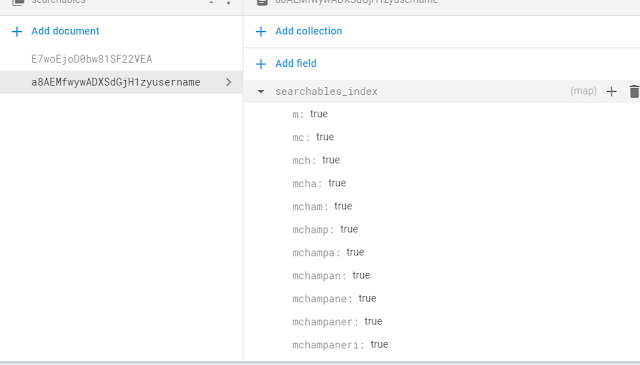 You might getting empty response in this kind of query though there are elements in firestore. I face the same problem. Though data was stored sucessfully ( I was guessing, which was wrong actully ). To verify that your data is not stored as you expceted you can do check this. If key of your data is in italic font then your data is not stored or is marked as deleted [ that was happening in my case ]. See in image. Now you might thinking, that I have created element and not deleted it then why it's showing as deleted.